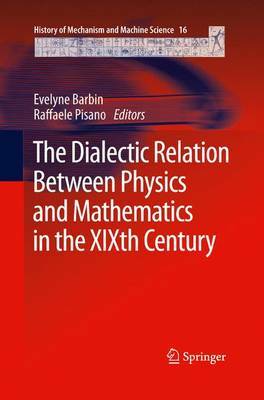 The aim of this book is to analyse historical problems related to the use of mathematics in physics as well as to the use of physics in mathematics and to investigate Mathematical Physics as precisely the new discipline which is concerned with this dialectical link itself. So the main question is: When and why did the tension between mathematics and physics, explicitly practised at least since Galileo, evolve into such a new scientific theory? The authors explain the various ways in which this science allowed an advanced mathematical modelling in physics on the one hand, and the invention of new mathematical ideas on the other hand. Of course this problem is related to the links between institutions, universities, schools for engineers, and industries, and so it has social implications as well. The link by which physical ideas had influenced the world of mathematics was not new in the 19th century, but it came to a kind of maturity at that time. Recently, much historical research has been done into mathematics and physics and their relation in this period. The purpose of the Symposium and this book is to gather and re-evaluate the current thinking on this subject. It brings together contributions from leading experts in the field, and gives much-needed insight in the subject of mathematical physics from a historical point of view.